Register for Free 7 day Trial! The growth of the Daily fantasy industry has been nothing short of historic. If you're not familiar with it, you will be in the coming months as investors such as Comcast are pouring in millions of dollars to make sure that you do. Yes it's essentially the same element as the wildly popular traditional league, but it resets weekly....and with big cash prizes. Unlike a full fantasy season, daily fantasy provides instant gratification. 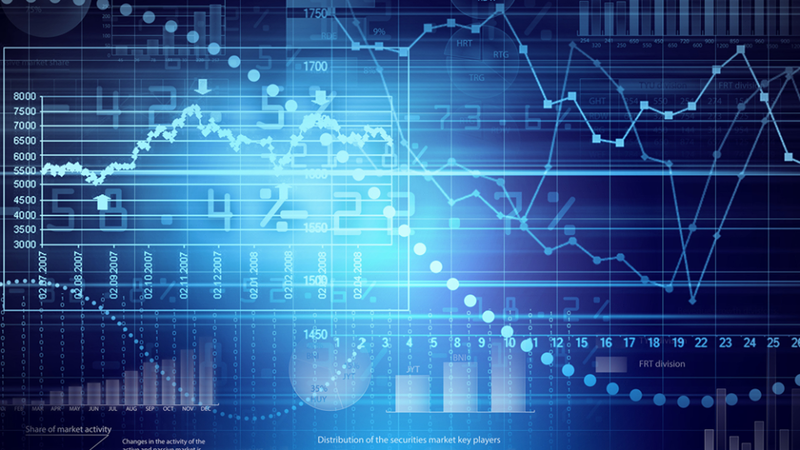 It is also conducive to quants: The savviest daily-fantasy owners, like the whizzy general managers in sports today, use advanced statistics to help them draft players." Matt Ryan (ATL) - On the other side of the ball of Big Ben is Matt Ryan. The Falcons' quarterback got some garbage time action in Week 14 against the Packers to continue his hot streak but may have lost his number one guy in Julio Jones. The Steelers secondary has been a big time weakness for the Steelers this year. Their Week 1 starting cornerback Cortez Allen lost his job then fractured his thumb and is out for the season while their other Week 1 starter William Gay has allowed opposing quarterbacks a rating of 95.0 in passes he has defended this season, with ratings of 135.4, 104.2, 158.3, and 117.4 over the last 4 weeks. Pittsburgh has allowed the 4th most passing touchdowns in the NFL and they have tallied the 7th fewest sacks, which is a good thing since Atlanta's poor offensive line has allowed Ryan to have the 4thmost passing attempts while under pressure this year. Eli Manning (NYG) - Odell Beckham has energized the Giants' passing attack and consequently has turned Eli Manning into a relevant quarterback again. 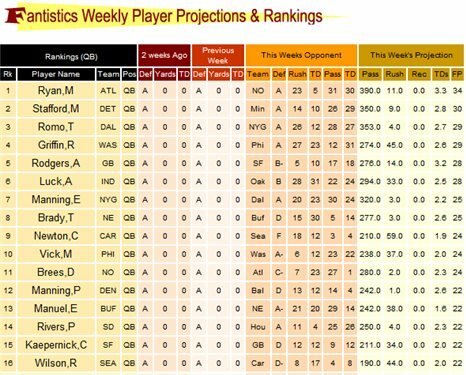 This week Eli hosts the Redskins and their league-worst 109.2 quarterback rating allowed to opposing quarterbacks. The Redskins secondary has done a pretty good job at limiting yardage, which might keep Manning's ownership a little lower, but they're allowing over 2 touchdowns per game and have the second fewest interceptions on the season with just 5. Manning is a nice tournament option considering his reasonable price point (just $7,500 on FD and $6,400 on DK) and higher ceiling but stays out of the cash game consideration since he carries a bit more variance risk than some of the other value guys in the mid-tier (Ryan, Roethlisberger, etc). Don't forget that when Manning faced the Redskins earlier this season in Washington, he passed for 300 yards and 4 touchdowns. Jay Cutler (CHI) - Jay Cutler may not be a very good real life quarterback but he is certainly putting up the fantasy points right now. The Bears are hosting the Saints, a team whose defense is completely MIA right now. Losing Brandon Marshall is going to hurt, but Alshon Jeffrey is more than capable of carrying the load, especially since the Saints' highest rated pass coverage cornerback is Patrick Robinson at #48 out of 113 qualified corners on ProFootballFocus and the defense as a whole ranks second to last in pass coverage on the season. On top of that, Cutler has performed really well while being rushed this year, posting the second highest completion percentage under pressure in the NFL. Jamaal Charles (KC) vs OAK - Chiefs offensive coordinator did not live up to his statement that they would give Charles the ball "as often as they can" in Week 14 (Alex Smith had 39 attempts and it was a 3 point game). Luckily, Charles is good enough that he still managed 91 yards with a touchdown on just 10 carries while adding another touchdown in the receiving game. Charles has now had back-to-back difficult matchups and finally gets a favorable showdown at home against the Raiders. Oakland has allowed the 7th most rushing touchdowns an 12th most rushing yards over the last 8 weeks. Eddie Lacy (GB)- We'll need to monitor his injury (bruised hip) as we get closer but Lacy should be in for a hefty workload again in Week 15. Over the last 8 weeks, the Bills have allowed the 2nd fewest passing yards and fewest passing touchdowns so the Packers may tweak their game plan a bit to exploit the Bills' 25th ranked rushing yard defense instead. Lacy has 11 touchdowns over his last 10 games with receiving touchdowns in 4 of his last 5. Lacy has averaged 5.3 YPC over his last 4 games and his 9 targets in Week 14 was a season high. Justin Forsett (BAL) - Forsett has been nearly unstoppable the last several weeks, averaging nearly 6.0 YPC over his last 4 games. I'll say that again, Justin Forsett has essentially gained 6 yards every time he has touched the ball the last 4 weeks. Forsett leads all runners in breakaway percentage, tallying 41% of his yards on runs of 15 or more yards (ProFootballFocus). The Ravens have arguably the best run blocking line in the NFL while Jacksonville's front line has been falling apart the last few weeks. On the season, they have allowed the 5th most rushing yards with 14 total rushing touchdowns. His price has jumped up pretty drastically on DraftKings but he remains a really nice bargain on FanDuel at just $7,700. So why daily fantasy? Well, it's incredibly fun and provides a great way for fantasy owners to expand their scope for the games that they love. It's formatted in a way that allows you to choose your level of commitment and each day provides a fun new challenge. Oh and it doesn't hurt that you can make a little extra money on the side. Let us help you do both! By changing the results of just one head-to-head or double-up matchup a month our subscription will pay for itself! Try us free for a week, a month or jump in for the rest of the season, welcome aboard!